Representatives Hall is in the old state capitol at Springfield, across the street from the Lincoln-Herndon law offices. 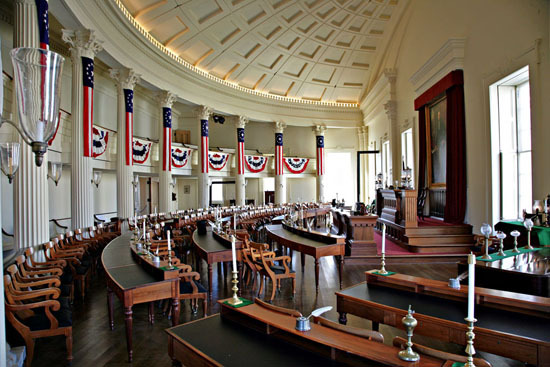 It was here that Lincoln served in the state legislature and gave his famous "House Divided" speech. Following his assassination, his body lay in state here prior to its interment in the Oak Ridge Cemetery across town.